The Whitworth Art Gallery Learning team are exploring the ways that they can use their new Clore learning studio when the Whitworth reopens in October this year. One element of education that is particularly important to the Whitworth is learning through play and as a result the concept is used frequently in our culturebabies and toddlertasticsessions. Playing offers children important opportunities to develop their imagination and creativity, whilst group play helps children develop their social skills. The Glasgow Gallery of Modern Art has explored these concepts further and recently opened their latest exhibition Atelier Public#2. The exhibition runs for 4 months and sees the gallery space at Goma handed over to both children and adults for creative play. This is the second time the gallery has run the project, as their first exhibition in 2011 was so successful. The gallery provides visitors with materials to create their own works of art, which they can then install within the space as they see fit. Over the course of the exhibition the gallery is constantly transformed according to the creative decisions made by its visitors. 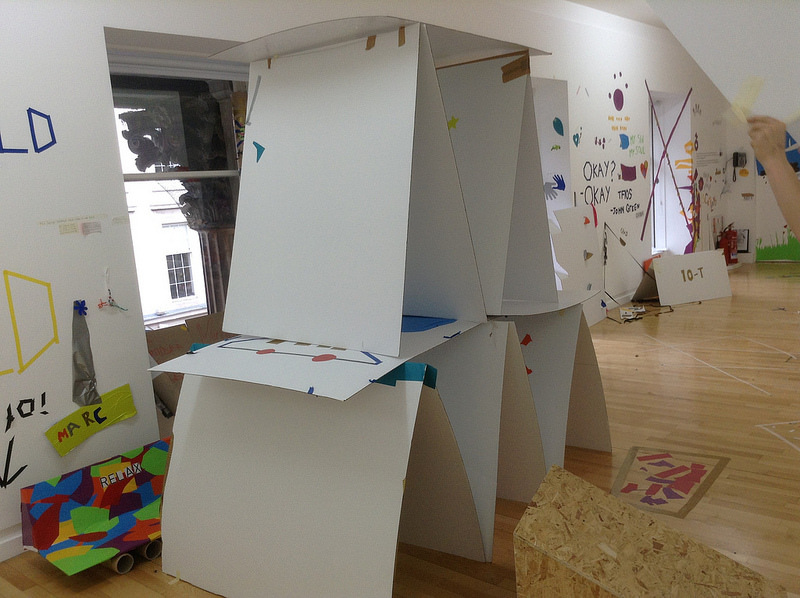 For Producer Curator Katie Bruce the project offers an opportunity to research the relationship between imaginative play and art institutions. By creating works of art for exhibition in a public gallery, visitors are not only able to express themselves creatively but also participate in a social activity by displaying their art alongside others. Similarly visitors can gain inspiration from others, even adding to or developing artworks that have already been created by their peers. The project therefore demonstrates the possibilities for community engagement that the arts present. Half way through the project a destruction event has been arranged, where visitors can take part in removing objects in the Atelier Public#2 gallery to make way for new projects. Again there is a collaborative approach being practised here, as the community make way for new creative opportunities together. The Atelier Public#2 project at Goma shows that providing spaces for creative play in public art galleries can help develop a community spirit and encouraging social interaction through artistic means. The success of the project in Glasgow is great inspiration for the learning team at the Whitworth. 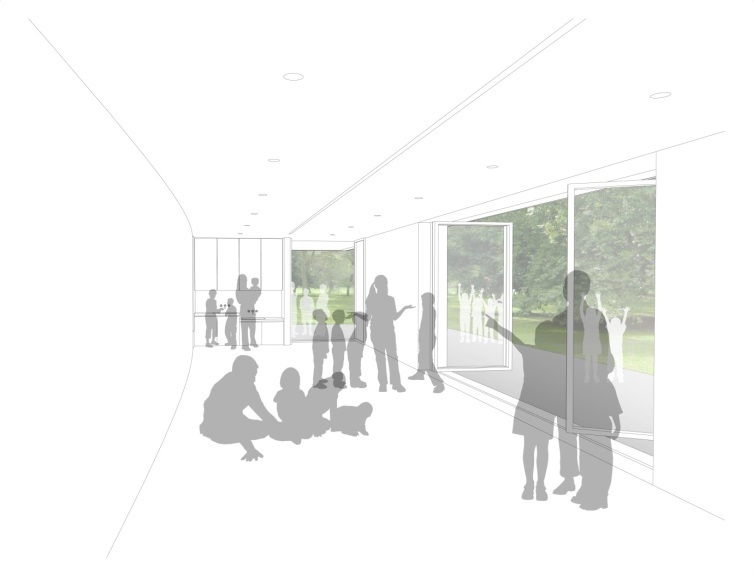 Our learning studio will provide a unique space for playing within the art galley, and allow us to promote the themes of social engagement and community participation that are so important to the gallery. In preparation for the opening of the Clore Studio at the Whitworth Art Gallery this year, the Whitworth’s learning team are investigating how different artists in the collection use their studio spaces. 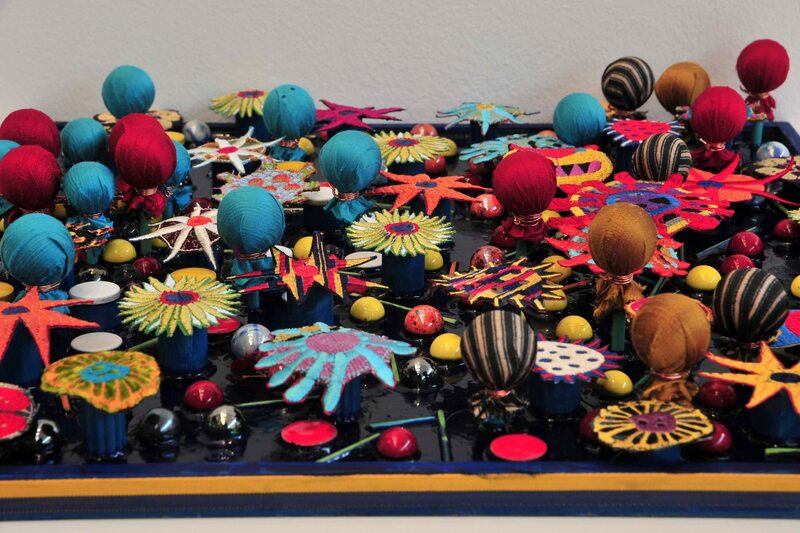 Michael Brennand-Wood is an internationally acclaimed textile artist whose work has been exhibited across the globe and features both in the Whitworth’s collection and our Tactile Textile educational resource. 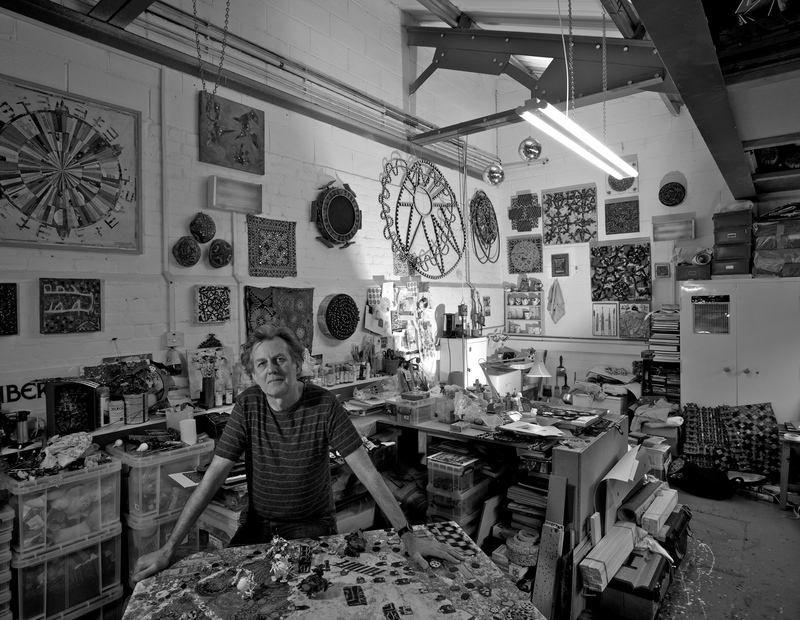 Brennand-Wood is known for his original use of traditional textile techniques and motifs, for example using floral embroidery processes to produce three dimensional mixed media pieces. Below Michael answers some questions about how he uses his studio, focusing in particular on the impact that physical space has on his art works. 1. How often do you use your studio? And how long have you been based there? It depends on my schedule but on average 5-6 days a week. I do try to be there, most days and if not, I work in my studio at home. The studio I rent, I’ve had since 1994. 2. How do you organise your studio? Are you methodical in the layout of your materials and equipment, or is practicality necessary in a creative space? The problem with studios is storing either materials or finished artwork. I have a storage facility to house completed works in. I have a working studio area that enables a long view to see semi-completed work on a wall. Materials are stored in plastic boxes in order, paint and fabric in cupboards. 3. Does your studio influence your practice? Or vice versa? I’ve always found that residencies affect the work more through physical working space than locality. A good studio definitely imparts a positive vibe! It’s my creative home a private place to do whatever I please. 4. Is your studio somewhere you go to feel inspired? Or are you inspired elsewhere and use your studio to respond to the inspiration? Yes the studios inspiring, I am someone who believes in the importance of thinking through making, it’s therefore important I’m around the building blocks of creativity. Other places obviously inspire but the studio funnels and synthesises those experiences into a creative reality. 5. Is your studio a place where you are experimental with your work? Or is your work in the studio where you produce a finalised idea? I’m very experimental; I don’t much care for signature pieces. I’m an explorer of visual territories, it’s important for me to put myself at a creative risk. The studio is therefore the laboratory where things happen and ideas are processed. 6. Do you share your studio with anyone else, and does this influence your work there? 7. Is your studio a reflective and intimate space? Or a social and productive space? The studio is a productive, reflective and working, intimate space. It’s only ever social when a friend or client visits. 8. Is your perception of your work the same in the confines of the studio as it is outside it? 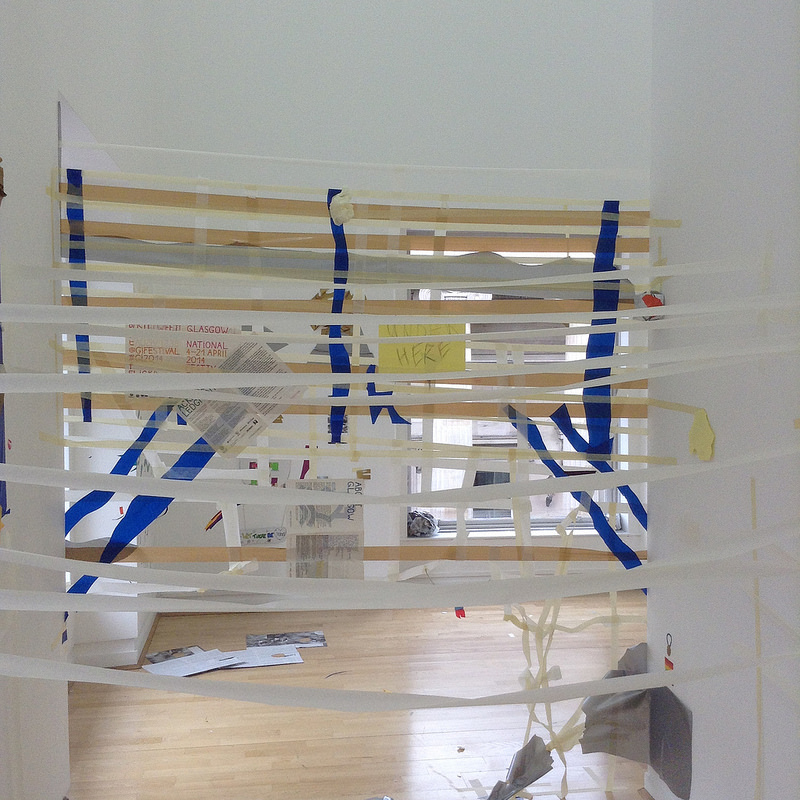 No work changes in relation to space, exhibition venues impart their own influences as to how a work is approached. Work outside the studio can appear very different, as you remove the real time continuum. Works can be shown alongside pieces that were made early or later. Unexpected relationships occur and you can find, new connections and starting points. The learning team at the Whitworth Art Gallery will soon be moving into the Clore learning studio at the newly redeveloped gallery, and in preparation we have been looking at the different ways studio spaces can be used to inspire creativity and learning. This week we will again be looking at how studios can become the subjects of gallery exhibitions, taking a particular look at the different interpretations of the topic that have been offered by Northern galleries over the last few years. In 2010 The Bluecoat in Liverpool hosted an exhibition called Global Studio which highlighted the international artists networks that Liverpool is part of. The Bluecoat is an institution that is proud of its status as a creative hub where artists can create, as well as exhibit, their work and therefore the Global studios exhibition offered the gallery an opportunity to showcase its role as a site of creative practice. The gallery did this by using their exhibition space as a studio, where artists involved in the project could work under the gaze of the visitors, creating artworks for the exhibition. The space was used at different times by both by local and visiting artists, either individually or collectively, demonstrating the versatility of studios and how they can be adapted to suit the needs of many people. 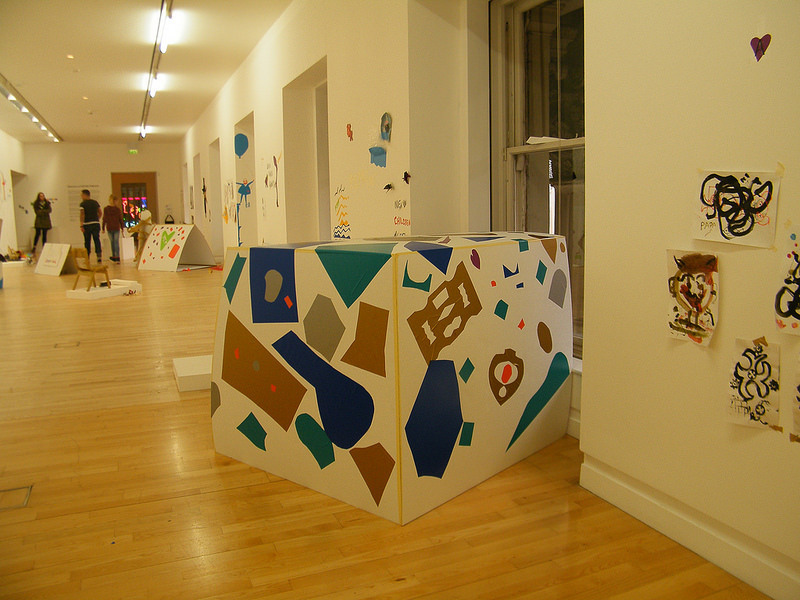 The exhibition also became part of the Bluecoat’s outreach programme, with the studio being used by adults with learning disabilities who took part in creative workshops, highlighting that studios can be a place of creative learning and social activity, as well as artistic production. 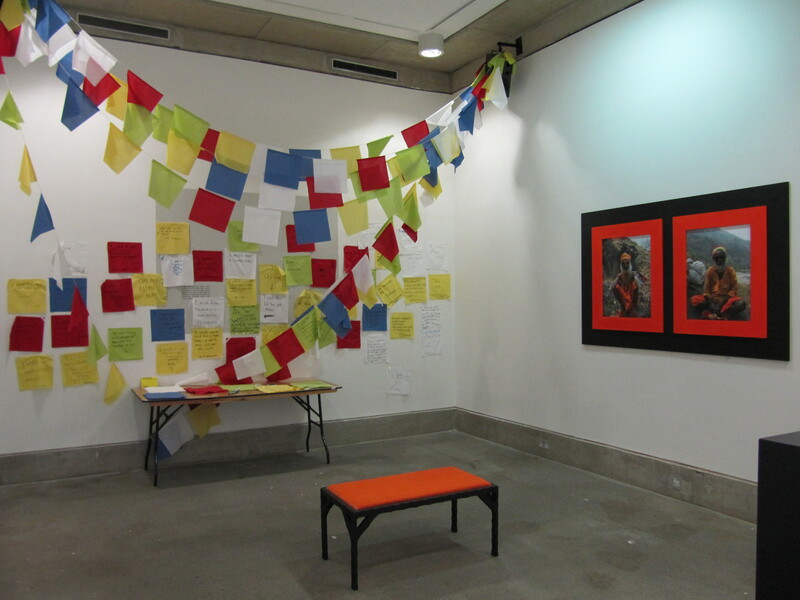 An exhibition earlier this year at the Site Gallery in Sheffield explored similar themes. The Artist Proposes saw the gallery’s exhibition space become a studio for five artists in residence, who used the public exposure of the exhibition to develop their projects with feedback from observers. The exhibition not only made the creative practice of the artist an art work in itself, it also allowed visitors to participate in the artistic processes, allowing them to interact with the gallery and the artist’s studio in a unique way. 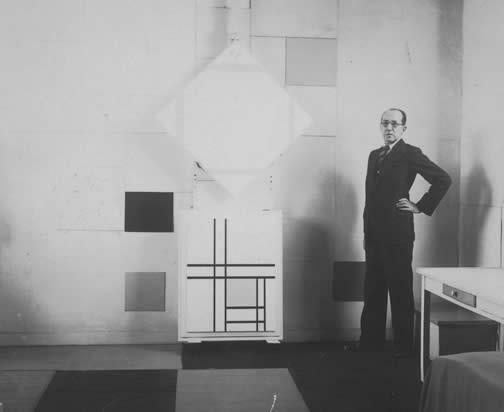 Photo of Piet Mondrian in his studio. Paris, 2/11/33. Photo from Elout Drabbe collection. Later this year Tate Liverpool will be hosting an exhibition called Mondrian and his Studios, which will feature a reconstruction of the artist’s Paris studio by architect Frans Postma. Mondrian’s studio was legendary among artists and critics during the 1920s as the space and his artworks began to merge; his iconic aesthetic adorning his studio walls as well as his canvases. Mondrian also had studios in Amsterdam and New York, where the physical environment of the space similarly influenced his artistic production. For him it was important that his artwork be linked to the site of its creation. As a result Tate Liverpool considers it important to gain an insight into the surroundings in which Mondrian produced his stylised paintings, in order to better understand the meaning of his work. Here we can see that there are various reasons why a gallery would choose to shape an exhibition around the theme of artist’s studios. Whether they are used to highlight the active role a gallery plays in creating art, turn creative practice into an art form itself or provide insight into the work of a specific artist, studio’s offer a great medium through which a gallery can interpret creativity. This week the Whitworth’s learning team are looking at the ways artist’s studios have been used as gallery installations, in our aim to explore the possibilities of studio spaces. 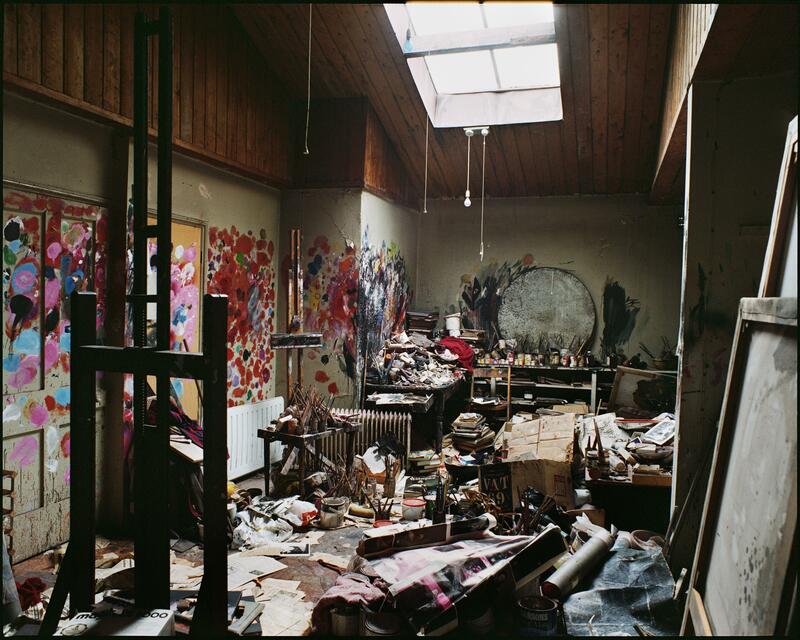 The studio of a popular artist in our collection, Francis Bacon , has become well known as pieces of art in its own right. Bacon’s 7 Reece Mews studio was painstakingly mapped and removed from its original setting in London before being recreated within the Hugh Lane Gallery in Dublin. Another well known artist whose studio now resides within an art gallery is Constantin Brancusi, a Romanian sculptor whose Parisian studio was relocated to the grounds of the Pompidou Centre after his death, where a custom built home was created which allowed Brancusi’s studio to be accurately preserved and enjoyed by the public. The reconstructed studios not only give us an insight into where the artists worked but also how they liked to be creative. Bacon’s chaotic studio reflects the artist’s vivacious nature and aggressive creative style. Flashes of paint adorn the walls and door where Bacon reportedly liked to mix his paint, and the floor is littered with materials and the pages of books from which Bacon took his inspiration. A central easel under a skylight shows us that Bacon liked to paint in natural light, and a number of drawings found in the studio have provided an insight into how the artist developed his paintings. In contrast Brancusi’s studio is much more serene and reflects the sculptor’s interests in minimalist forms. The light filled space is full of the artists sculptural creations and the handmade furniture upon which he worked. 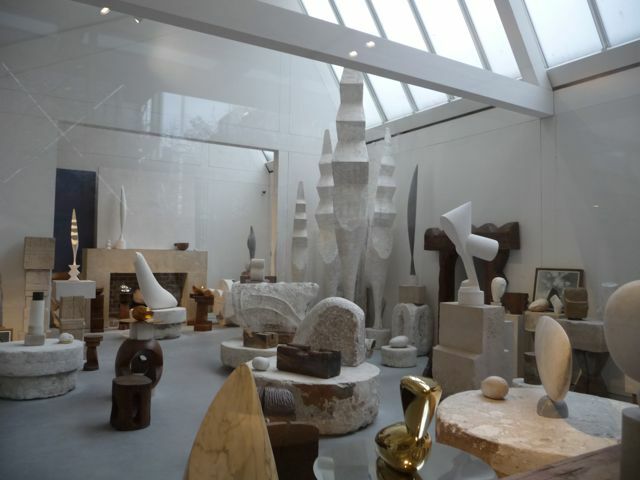 His tools are organised at one side of the gallery, next to a basic fireplace, and the atmosphere is one of tranquility and simplicity, an ethos that Brancusi aimed to embody within his work. He chose to leave the contents of his studio to the French state, on the understanding that it would be recreated for visitors to see, allowing them to view his sculpture in their original context. By looking at the preserved studio spaces of two very different artists we can see that a studio is not simply the place where an artist works. It is also an extension of their creativity and a space that responds to their personality and artistic style. Studios are responsive to their users, and as such they are integral to the creative process.